Be Part of something EPIC this summer... Canada Day Weekend 2018! Our Nation's Largest Canada-Day-Weekend Running Event! 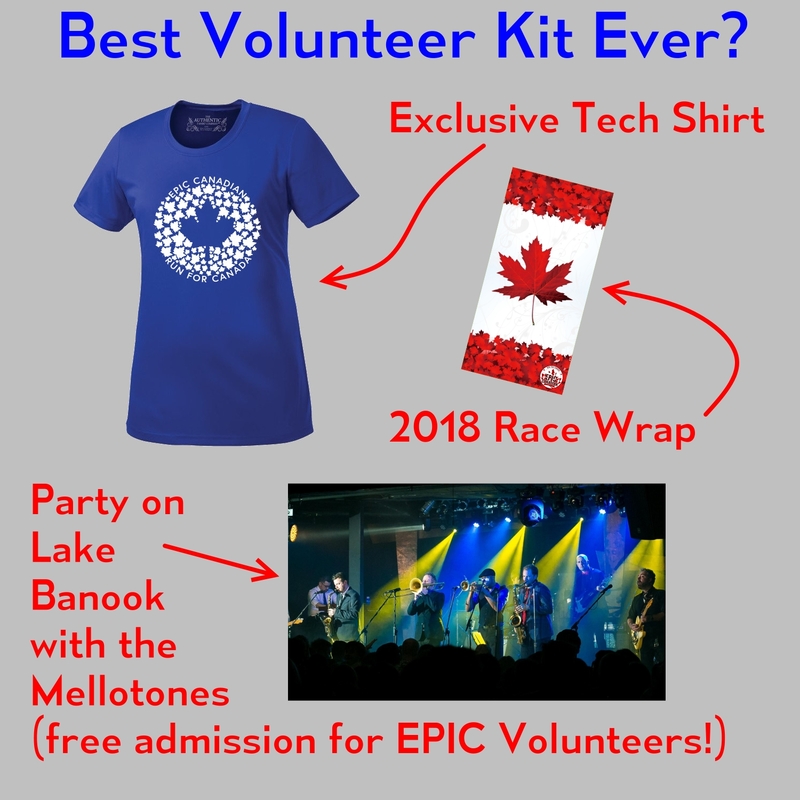 Thanks for your interest in volunteering for the EPIC 2018 events! This event could not happen without our amazing volunteers. We are always grateful and thankful for each and every volunteer. Our volunteers dedication and efforts have had a huge impact on the growth of the EPIC events. Come be a part of something EPIC, when you sign up to volunteer you can choose the role that interests you the most. Please click Volunteer Now and answer a few questions for us. If you have any questions about the event or the sign up process, please contact volunteers@epicdartmouth.com. To Volunteer Please Click "Volunteer Now"